If you are searching for ways to connect your business with the residents and visitors of Carson Valley, The Record-Courier has you Covered. With a media mix that includes our flagship newspaper, we reach your targeted customer through travel magazines, recreational guides, social media pages, stories and more. The Record-Courier is printed three times a week and enjoys a reach that includes Minden-Gardnerville, the Carson Valley, Lake Tahoe, Carson City, and even counties across state lines into California. The Record-Courier provides award-winning news that rated among the best newspapers in Nevada by the Nevada Press Association. The online website www.recordcourier.com sees 42,512 uniqe visitors monthly and reaches individuals across the nation with targeted display ads, behavioral targeting, search enging marketing, targeted mobile marketing, email, and more. The sister publications located in Reno allow advertisers to reach 71,000 in print and 317,000 online. 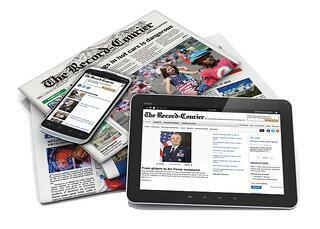 The Record-Courier is distributed at hundreds of newsstands within the region. Our marketing opportunities expand beyond the Carson Valley. Please speak with an account manager today to learn more about how you can advertise to audiences in Carson City, Lahontan Valley, Reno and Lake Tahoe.